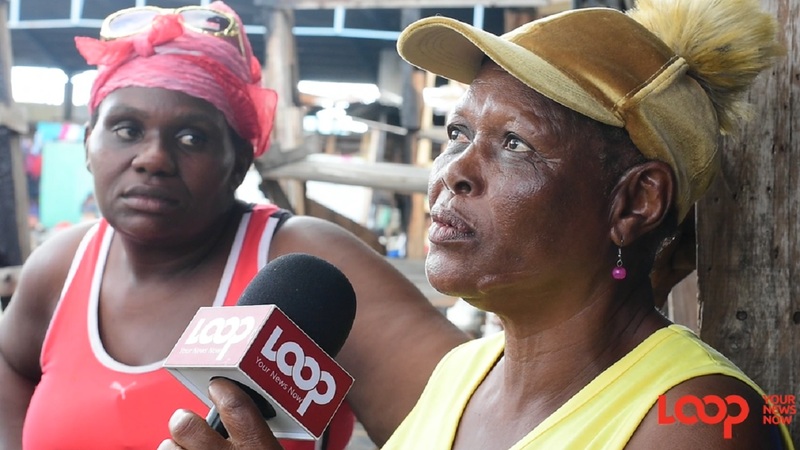 Vendors of the Ray Ray Ground market in downtown Kingston speak with Loop News after their stalls were destroyed by fire last week. 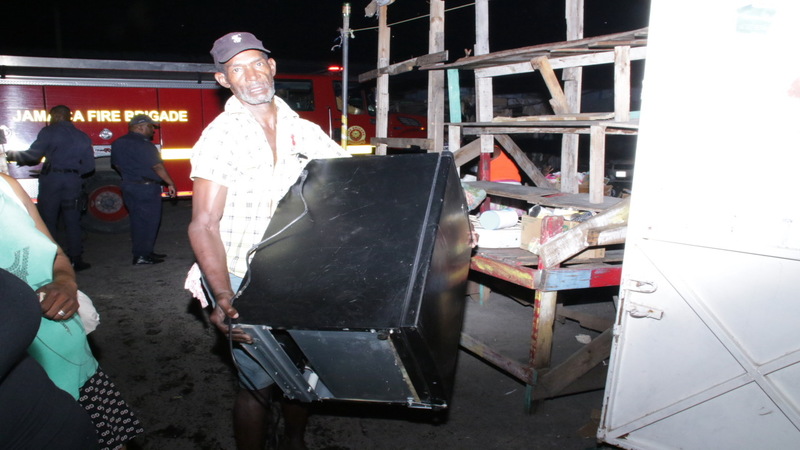 Vendors of the Ray Ray Ground market in downtown Kingston are at their wits’ end after fire last week destroyed their stalls and supplies. 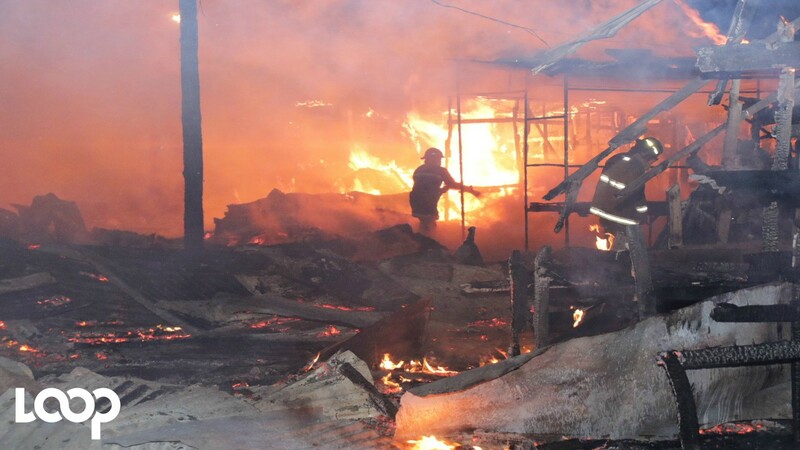 The fire gutted sections of the informal market early Tuesday. Firefighters responded quickly but were not able to save many of the vendors' stalls that were stacked with their wares. In an already challenging market given the tough economic conditions locally, the fire could not have come at a worse time for the vendors as they were looking forward to the traditionally bumper holiday shopping period. Against that background, the vendors are pleading for help to buy back their goods and build back their stalls in time for the Christmas season. 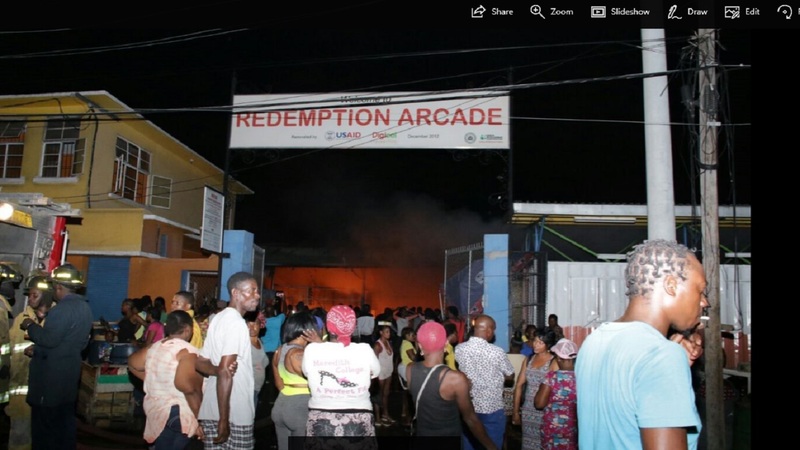 “I lost a lot of barrels in another fire at Redemption Arcade (in downtown Kingston), and I have been burnt out twice here (at Ray Ray market),” one vendor, Carol, told Loop News. “Mi need some help right now to build back my stall and put some goods in it. I need to take care of my business,” she added. Another vendor, who said she had been selling at the market for 44 years, painted a picture of desperation. "I am on my knees begging for help, whoever can help me to buy back my goods and build back my stall... I know I can't build it back, I don't have it!" the woman said. The cause of the latest in a string of market fires in downtown Kingston is not yet known, but one vendor is adamant that it is the work of arsonists. “Every year this is what they do to us at Ray Ray ground,” Ingrid said. Watch the video edited by Marlon Reid below.